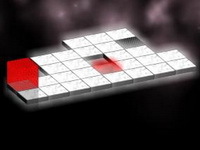 Use the mouse in this physics based puzzle game. Another all-time favourite retro game! You will see a board consisting of a number of adjacent hexagons. You play against an opponent, and each of you has three monsters placed at the corners of the board. Take a deep trip! Ambient underwater soft-survival match puzzle.Match colorful jellyfish to get oxygen! Play to relax and concentrate.